dandelions: Mommy I'm Swan Wake! On Tuesday last week E was home from preschool with a bad cough and runny nose, but it didn't slow her down much. 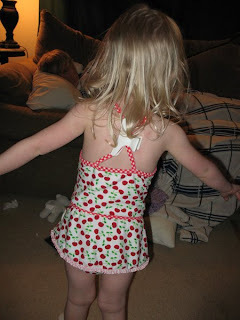 She wanted to dance in her bathing suit. More bloggin, less facebookin, please!